Indulge in an exercise of fantasy, and suppose that by rewinding the thread of bygone centuries it has become possible for you to return to the time of Christ and walk into a room of the Holy Family’s humble dwelling in Nazereth. Imagine that you find the Virgin playing with the Child, and that both were just as Rouault depicted them in the painting on the upper right. Would such a sight fulfill your expectations? Would it correspond to what you might have hoped from the Mother of God and the Word Incarnate Himself? 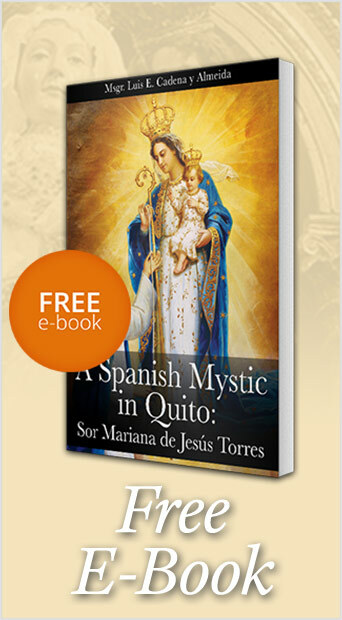 Would you find in those images the authentic expression of the Christian spirit and the ineffable virtues of Jesus and Mary? Therefore, whoever earnestly wants that Christian art worthily and duly reflect the spirit of the Gospel cannot be indifferent to paintings of this nature becoming widespread among the faithful. What kind of impression would people have of the Holy Family if nothing else were shown to them but paintings of this ilk? As far as it is able, Christian art has the role of an accessory to the spreading of sound doctrine. The spirit of this painting cannot be deemed proper for that end. 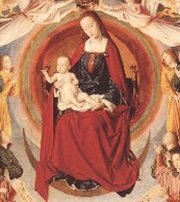 In order to illustrate these affirmations better, look at the painting by the Maitre de Moulins (fifteenth century), which also portrays the Virgin and Child, and consider how efficacious it is in helping us understand, through the senses, what the Church teaches about Jesus and Mary. 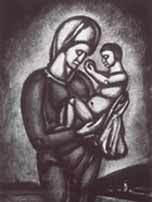 This entry was posted in About Our Lady, Plinio Corrêa de Oliveira and tagged Child, Christ, Christian, Gospel, Holy Family, Jesus, Maitre de Moulins, Mary, Mother of God, Nazereth, paintings, Professor Plinio Correa de Oliveira, Rouault, TFP, Virgin, Word Incarnate by Plinio Corrêa de Oliveira. Bookmark the permalink.